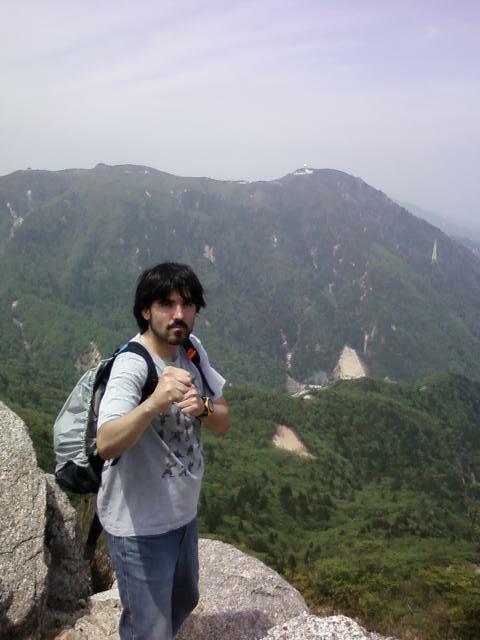 Last weekend I went to Mie prefecture (三重県) for a hike in the Suzuka mountains where I had already gone for two other hikes, Gozaisho (御在所) and Fujiwara (藤原岳). This time I climbed Mt. Kama (鎌ヶ岳) which is 1.161m tall. Similar to the hiking trail to Gozaisho, the starting point for Mt Kama is Yu-no-yama-onsen(湯の山温泉). This time instead of going by train I took a direct bus from Nagoya Meitetsu bus station (1 hour bus ride - 1280yen each way). The hiking trail is really beautiful!! It crosses many streams, rocks and nature. In fact I managed to see a huge snake on my way!!. Sometimes there are difficult parts where you need to use your hands but in general, anybody with a bit of experience can climb it. In the picture above, you can see the views of Mt. Gozaisho from Mt Kama. konichiwa Sango San, tu periplo no se reduce solo a tierras niponas. Es todo un viaje. Por mi parte me voy a Malta 1 mes a hacer inmersión en inglés (que no ingles), pero siempre me ronda la idea de hacerte una visita. A ver si me organizo y lo hacemos todo posible. nos vemos aquí o allá!